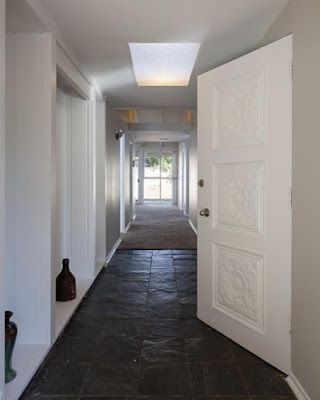 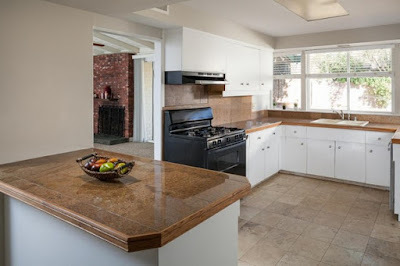 In north Winnetka, CA lies a large tract of midcentury homes on curvilinear streets, with traditional, ranch and contemporary models spread throughout the development. While the traditional and ranch homes were designed by others, the contemporary homes are Palmer & Krisel-designed, including this featured home. 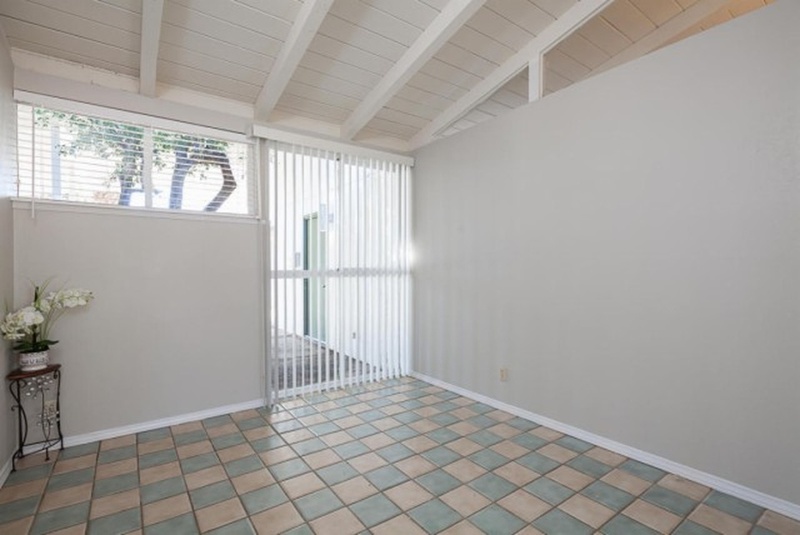 Expanded to 2,085 square feet through a converted garage, this home includes three bedrooms and two bathrooms, sits on a 7,400 square foot lot and carries an asking price of $549,900. The exterior of the home is heavily wooded, with lots of vegetation sitting between this property and the street. 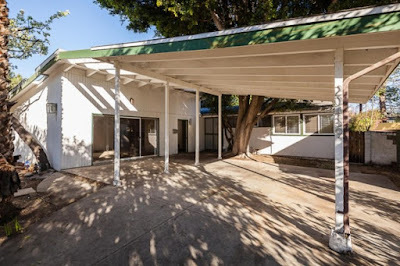 A large freestanding covered carport structure has been placed in front of the home, and it’s sweeping high-pitched roofline connects and matches that of the converted garage, obscuring the main dwelling structure. 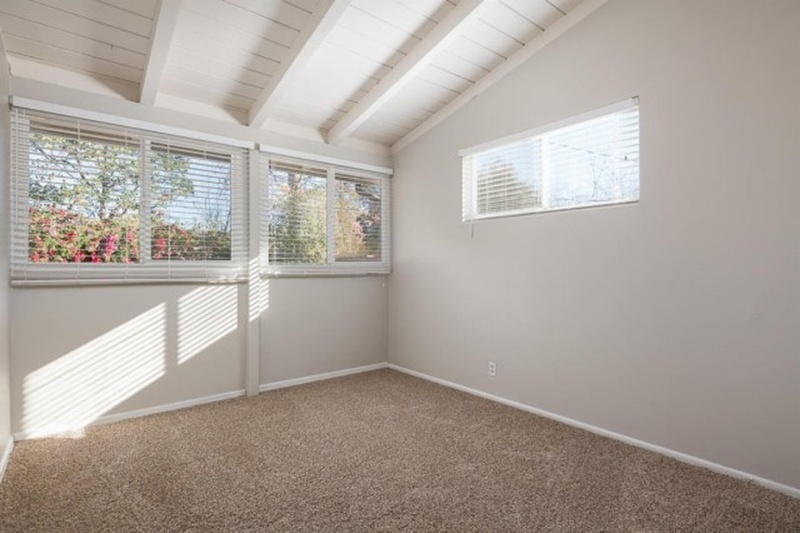 Inside, the floorplan is instantly recognizable as one that we’ve seen before in Parkwood La Mirada. 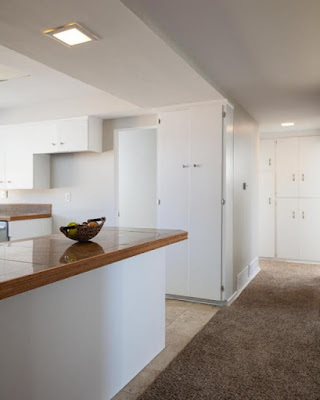 The living, dining and kitchen all sit at the rear of the home, while the master and breakfast nook sit at the front, with both secondary bedrooms at the rear of the home split from the master. 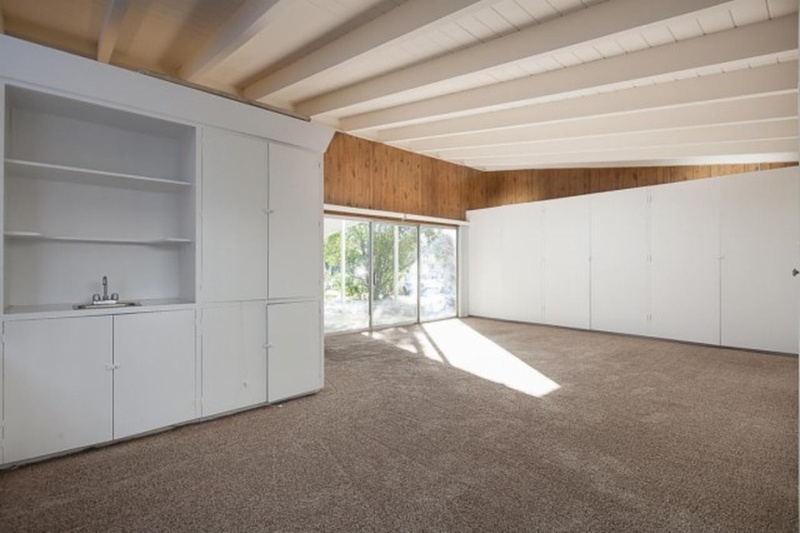 The large converted garage sits adjacent to the entry, and is a large cavernous room with high ceilings and lots of built-in shelving. 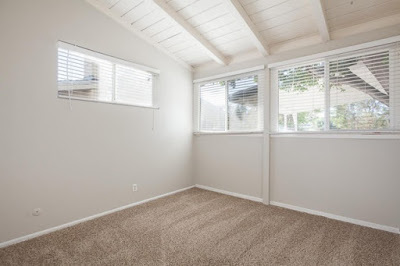 The living and dining rooms are carpeted, and feature their original open beamed vaulted ceilings. 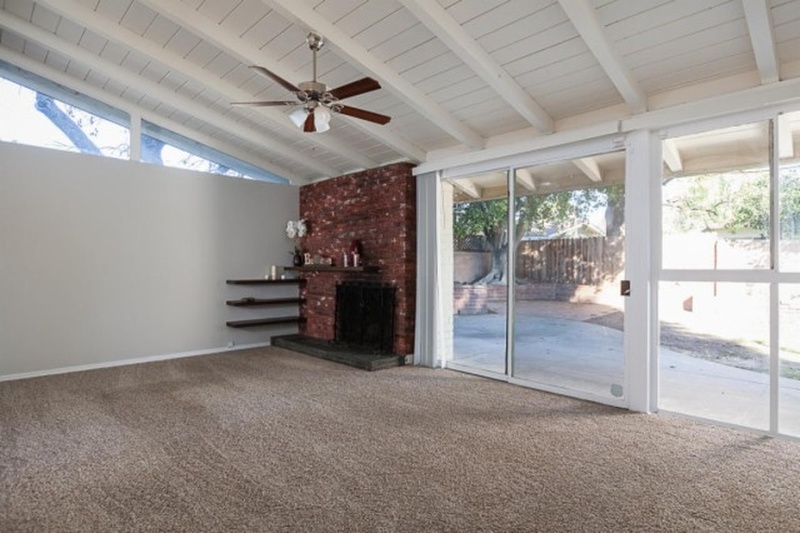 The original modernist fireplace sits towards the corner of the living room and has long been covered in brick veneer. 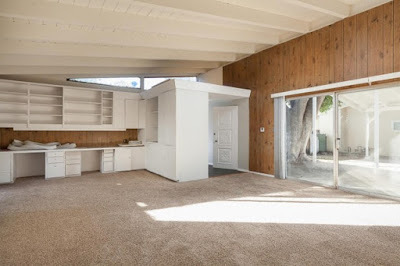 Original west-facing clerestories are still intact and allow natural light to fill the room, while north-facing walls of glass overlook the backyard. 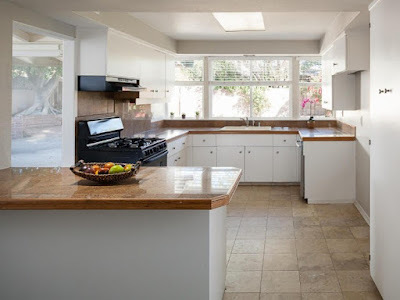 The kitchen still retains its original cabinetry with updated granite tile counter tops. The cabinets appear to be in excellent condition, and large windows above the sink overlook the backyard. 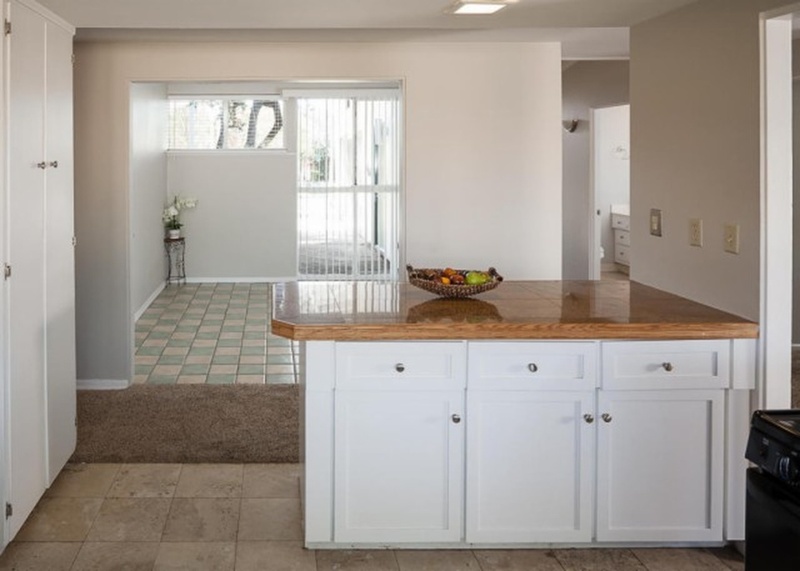 The kitchen is open to the front-facing breakfast nook with checkered-tile floors, and is separated by a latter-added island whose doors don’t quite match those found in the original kitchen. The master bedroom sits at the front corner of the home, and overlooks the side yard, and features a pair of double closets and original open beamed vaulted ceilings. 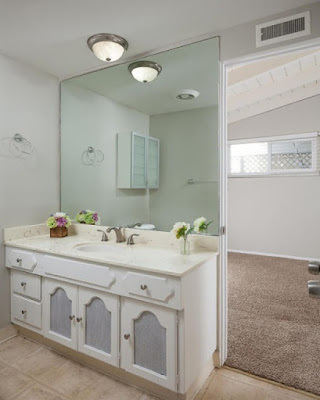 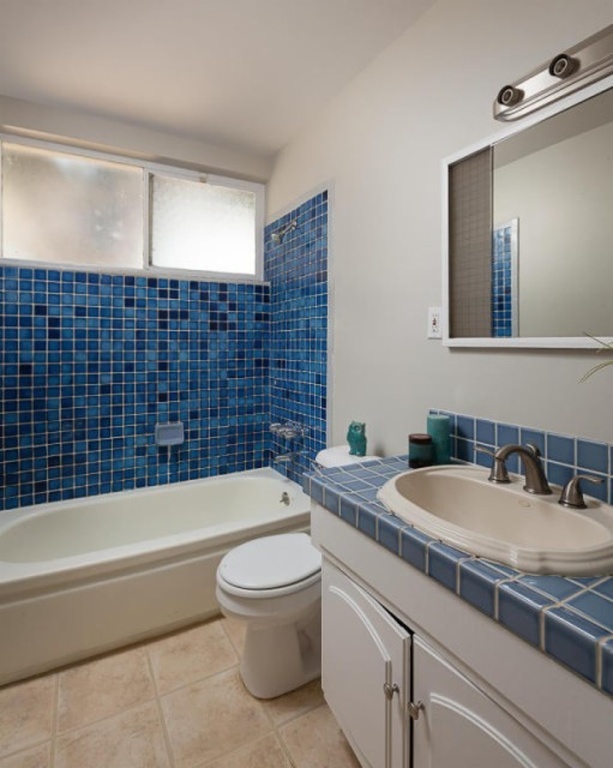 The master bath appears to have been updated in the mid to late 1970s, while the hall bath reads as slightly newer with its late 1970s/early 1980s updates. 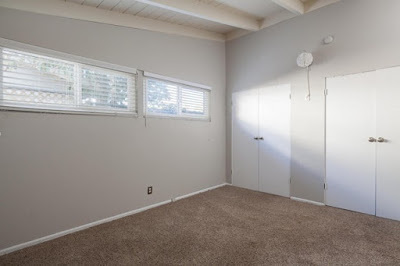 The secondary bedrooms remain in their original configurations, and feature windows on two walls allowing for additional natural light to fill the rooms. 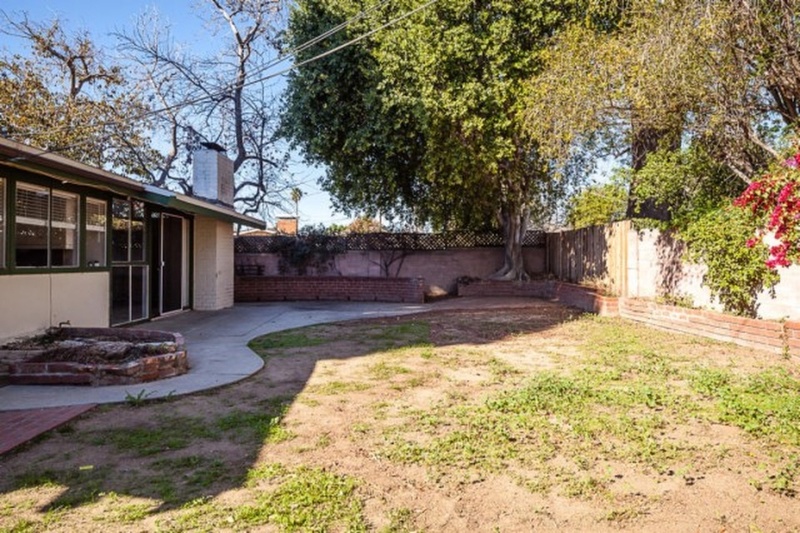 The backyard is pretty much a blank slate, ready for a water-conserving makeover. A curvilinear concrete patio with low brick seating wall sits off the living area. 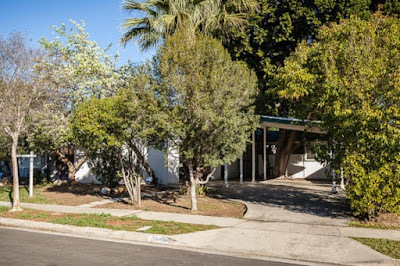 Raised brick planters surround the perimeter of the yard, and a large, mature tree sits at one corner of the yard. The remainder of the yard space consists of aging turf, in need of replacement or redesign. 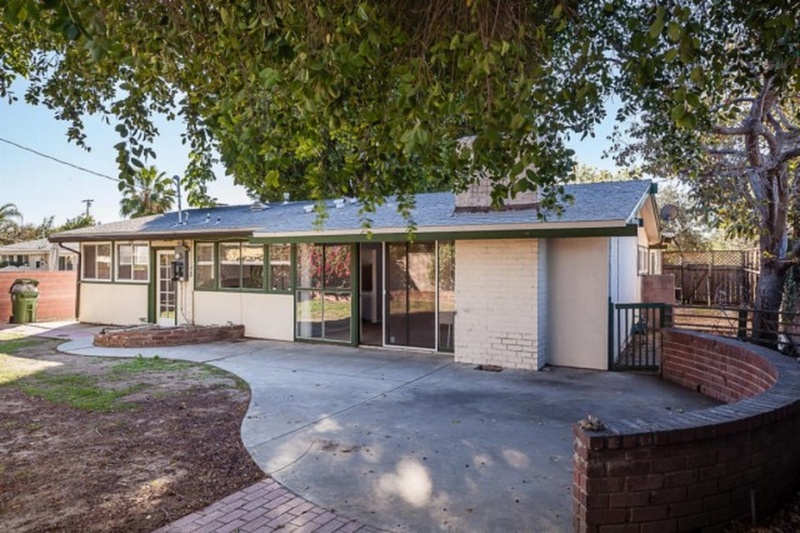 This is an interesting property – there’s quite a bit of potential with the home. The floor plan hasn’t been altered, there’s original cabinetry in the kitchen, and the property sits on a quiet cul-de-sac. Redfin predict this home will be a quick sell, so be sure and check it out sooner rather than later.